Does Your Brain Need Glucose? Have you ever been told to cut out carbohydrates or cut way back? This advice usually comes alongside the latest diet everyone is trying, and most people usually jump off this bandwagon as quickly as they jump on it. I challenge you to look at this topic from a different perspective. Today, let’s focus on how different carbohydrates affect our brain, not just our waistline. Research for today’s post comes from the findings of Dr. Lisa Moscani, author of Brain Food. Also, always check with your doctor first before any dietary changes. Good news! The brain needs glucose, and glucose is, at its core, a carbohydrate. From the brain’s perspective, there are “good carbs” that feed the brain glucose which keeps our brain active and energetic. As someone who has first-hand experience with a loved one having Alzheimer’s, I recognize how very important glucose is for the brain. Red beets, onions, turnips, rutabaga, kiwi, grapes, raisins and dates are some of the best natural sources of glucose. Honey, maple syrup, coconut sugar, brown rice syrup, and stevia are good sources as well. Consider adding some of these cleaner choices to your grocery list and try to incorporate them into your diet. 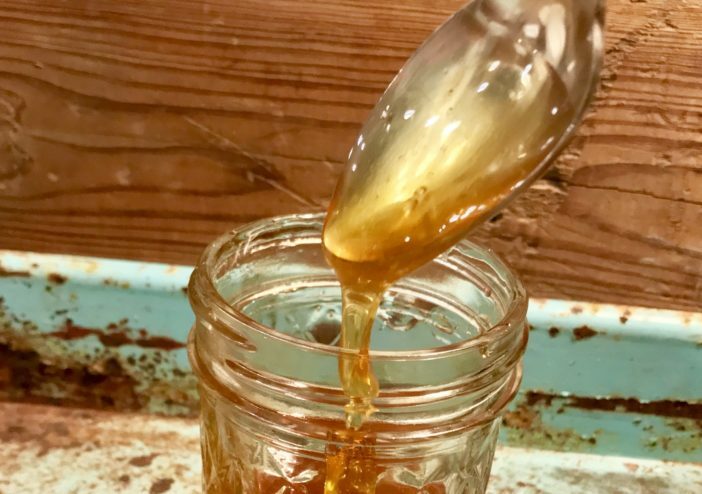 Before you get too excited about the brain needing carbs, know that just three tablespoons of raw honey will give your brain all the glucose it needs for the day. Therefore, if you have a regular diet of cookies, cakes, pasta, and bread, you are most likely getting way more glucose than you need, from less than ideal sources. Research shows that high blood sugar levels can have a damaging effect on the brain, especially as we age. If you’re the least bit interested in eliminating brain fog, preventing cognitive decline, depression, or just sharpening your edge, this is an area to zone in on and make some changes. Have you ever tried scratching the “bad carbs” from your diet for at least a month or so? If so, did you notice a difference in your energy level and cognitive ability? I have restricted sugary carbs in my diet periodically over the past 10 years, and I must confess that it’s always been the best thing for me personally. I was born and raised in the South, and I grew up on sugary desserts after every dinner. Even though I carried that habit full throttle throughout most of my adult years, I’m pleased to say that my adult kids have chosen healthy lifestyle paths. Change can be good, and there is no better time than the present to make a good decision for your health. I’m not suggesting that it’s an easy thing to commit to, but it is the right decision for me, and I truly think it could be for you too. Your mind is clearer, and your mood is stable when you don’t have those blood sugar spikes. You’ll have more energy and just feel better overall. It’s the norm these days for people to replace white sugar with artificial sweeteners, but know they have damaging side effects from headaches and migraines to impaired liver and kidney function, as well as mood disorders. Instead of refined sugar, artificial sweeteners, and high fructose corn syrup, stick with the healthier sweeteners. A few examples would be coconut sugar, brown rice syrup, or stevia in your foods and drinks. They are not only “good carbs,” but these natural sweeteners increase your intake of anti-aging antioxidants in amounts similar to that of consuming berries and nuts. Great options for mealtime include steel-cut oats, brown or wild rice, and sweet potatoes. They are also rich in glucose, full of fiber, vitamins, and minerals, and they sustain optimal brain energy for longer periods of time. If you know of anyone who suffers from Alzheimer’s or if you’ve ever visited a memory care home, it doesn’t take long to understand the importance of taking care of the brain. Dr. Mosconi says that anyone who is old enough to consider how their brain will remain healthy into old age is old enough to start making vital changes to address that immediately. I couldn’t agree more! Dr. Mosconi is the associate director of the Alzheimer’s Prevention Clinic at Weill Cornell Medical College where she was recruited as an associate professor of neuroscience in neurology. She founded and was formerly the director of the Nutrition and Brain Fitness Lab at NYU School of Medicine, and an assistant professor in the NYU Department of Psychiatry, where she served as the director of the family history of Alzheimer’s disease research program. 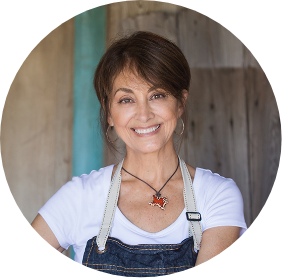 Dr. Mosconi holds a dual PhD degree in neuroscience and nuclear medicine from the University of Florence, Italy, and is a board-certified integrative nutritionist and holistic health-care practitioner.